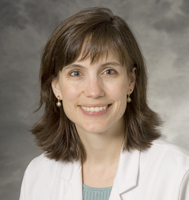 This week's GeriPal podcast features vascular surgeon, researcher, and bioethicist Gretchen Schwarze from the University of Wisconsin. We talk with Gretchen about her recent NEJM paper titled, "Managing Uncertainty: Harnessing the power of scenario-planning." The idea behind scenario-planning, which is what our paper is about, is that it's not just about showing the limits of what's possible, but also the story that unfolds along the way. I agree with you, physicians hate this idea of uncertainty, because we don't want to be wrong, but we're not asking people to be certain. What we're asking people is to tell a story that's plausible and that shows that there are limits on what's possible to happen. It's not just where you end up, but the different things that will happen along the way, because if I think about my patient in the ICU who is in respiratory failure after surgery, I don't know how that's gonna go. He might get better and he might not. But I have to tell you, if the respiratory failure gets better, I can tell a pretty solid story about that's gonna look like and how things are gonna be six months from now, a year from now, based on what I know about the patient. If the respiratory failure doesn't get better, I can tell a pretty good story about that as well. We're not asking people to predict the future, but rather to tell a story that allows patients to understand a series of events that are likely to happen, once you've identified where there's uncertainty. That should tickle your fancy for more, so listen to the podcast, or read the transcript below. Of note, Gretchen would have joined in singing American Pie, but the Skype connection was sadly not conducive to musical ensembles recorded over a distance. You'll have to catch us together at a meeting for live rendition! Eric: Welcome to the GeriPal Podcast. This is Eric Widera. Alex: This is Alex Smith. Eric: And Alex, who do we have as our guest today? Alex: Today, we are joined via the Skype line from the University of Wisconsin, Gretchen Schwarze. What? Eric just said something. Alex: He just gave me a look like, "What did you just say?" Eric: No, I was looking at the dials. Alex: Oh, I thought you were looking at me. Alex: We're going to start over. Eric: The dials. We're going to start over. Gretchen: I feel like I'm on Wayne's World. Alex: Maybe we should include that. That's not a bad intro. Should we just keep going? Let's keep going, okay. Eric: So, Alex, let's recover from our poor intro. Gretchen, we start off all these podcasts with our special guests giving Alex a song to sing. Do you have a song for us today? Gretchen: Alex, can you sing 'American Pie'? Alex: Alright, we're gonna do a little 'American Pie'. Alex sings ‘American Pie’ by Don McLean. Oh, we're gonna have to stop there. Eric: Oh, I'm guessing we'll do more of that at the end of this podcast. Alex: At the end of the podcast. To finish that introduction, today we have Gretchen Schwarze, who's joining us from the University of Wisconsin, where she's a vascular surgeon, an associate professor of surgery, she's a bio-ethicist as well as a surgeon. She wrote a terrific piece in the New England Journal of Medicine that we're gonna talk to her about today, it's titled, 'Managing Uncertainty: Harnessing the power of scenario-planning'. Welcome to the GeriPal Podcast! Eric: And I swear, I'm not giving Alex a dirty look right now, Gretchen. Alex: There's no dirty looks. I can't read your looks, I've no idea. Because we have the video off, we have no idea what kind of funny faces Gretchen is making towards us right now. Gretchen: I'm just joining in. Alex: So, let's see, how should we start this off. You start off this paper with an interesting quote from Peter Drucker, 'The greatest danger in times of turbulence is not the turbulence, it is to act with yesterday's logic'. What is that about? Gretchen: What is this about? I think this idea of how we make decisions often forgets that, when people are making decisions in healthcare, they assume that tomorrow is gonna be much like the day before. We forget that when people come in sick, the fact that yesterday is not gonna be what happens in the future isn't really something we talk about. We use other types of language and I think people sort of still hold on to where they were before that, they need a frame shift, in order to really understand the context of what we're talking about. Eric: Although, if it's funny, we're gonna keep it in. Gretchen: I don't think people want an hour of me laughing. Eric: We actually find the more humor in our podcasts, the better it is. Gretchen: No, but there was a lot of sweating on my part that was very nerve-racking doing that podcast. Eric: Did you do this article as part of the podcast? I actually missed that. Gretchen: Yeah, I mean, that's a really cool thing that NEJM does, they ask their authors to talk about their article, which is cool. But it's a pretty high-stakes thing, you get all about eight minutes, and it's not with somebody you know, it's with the editor of the journal. It feels very scary. And then it's over and you think, "Did I even say anything intelligible?" Alex: Right. What I was looking up while we were kind of looking at each other was ... This quote also reminds me of a paper by Alvin Feinstein called 'The Chagrin Factor', that was published something like twenty or thirty years ago, probably more than that, where he writes that clinicians tend to act on the basis of their last mistake. They are acting with yesterday's information. Often, it's not just experience alone, but it's yesterday's bad experience in particular that guides them. Gretchen: Yeah. I might say that this is similar and then also distinctly different in that we forget that patients with a lot of chronic illnesses have this life that they're living outside of the hospital. Someone that shows up with metastatic cancer and a new surgical problem, you think, "How could they not know this is going the wrong way?" And yet, they're living with it. We need to understand that they're coming at it with a different frame of reference, but also help them to understand this frame shift for them. That tomorrow is not gonna be like yesterday and so how do we strategically move forward in tomorrow without using the story of yesterday to misinform how the future is gonna move forward. I actually think Joanne Lynn does the best with this notion about yesterday's logic. Her theory of it is that we have this mental model of health and wellness and that being healthy is being normal. And then you get an illness and then you're not normal and then medical care is used to fixed your illness and then you're normal again, which of course works great for appendicitis. But it doesn't work well at all for people with multiple chronic illnesses and it certainly doesn't work well for old, frail people with a surgical problem. I do think that this idea of what was regular yesterday not being part of the future is a really important thing we need to get across in a way that people can understand it and not that we're banging them over the head with a big club about it. Eric: I hear this every day working on the consult service too is, are we sure that they're not gonna get back to where they were yesterday, or that life is not gonna return to the way it was yesterday, rather than this new normal, it sounds like you're talking about. I heard it today, we never know. Yeah, he's in the ICU on multiple pressors getting CVVH and he just had a monstrous stroke, but maybe there's a small chance, I've been surprised before. Gretchen: Yeah. There's a bunch of things you said there, Eric. The first is this idea of, when you talk about what this person is gonna get back to, all you're talking about is the outcome. You're not actually talking about the journey to that outcome. I would suggest that the story of how you get there, back to the way he was before, is as important as where you're gonna end up, because the story allows patients to understand what's involved. When I see there's a 5% chance of getting back home after this operation, I do not mean that there's a 5% chance of getting back home after this operation tomorrow exactly like you were yesterday. We're not asking people to predict the future, but rather to tell a story that allows patients to understand a series of events that are likely to happen, once you've identified where there's uncertainty. Uncertainty, at least for my patients, post-op in the unit is often about their respiratory failure. Alex: These are post-op patients, right? Gretchen: The storytelling we like to do is before surgery, because surgeons are all about this decision of 'should we operate or should we not operate'. In our mind, we liked the idea of using scenario-planning before surgery, so we can use it to help us decide whether to do surgery or not do surgery, or consider some other strategy. But you could imagine that you could use scenario-planning with a patient in the ICU where there isn't a decision to be made. Where you just start off with, "Your father was admitted to the ICU yesterday with a severe pneumonia, I'm not sure how things are gonna go. Let me tell you what might happen in the best-case scenario." And in the best-case scenario, you would say, "This respiratory failure gets better, but let me tell you what that looks like, if the respiratory failure gets better." In the worst-case scenario, it's something very different than that, the respiratory failure doesn't get better, but there's all this other stuff that goes along with it, not just the outcome. Eric: Do you also then think about actually doing a more specific prediction, like which of those scenarios is more likely? Gretchen: Yeah. I think that's actually a very nice way to use it, that's not how Peter Drucker and Pierre Wack, the economists we talk about in our paper use it, they're just trying to find a bunch of plausible scenarios. But I think for healthcare decision-making, it's really helpful to have a best and a worst and then to say, "Given what I know about you, given that before your dad came into the hospital, he was using a walker and he needed oxygen during the day and his kidneys were working, but not all that great, this is what I think is most likely. This is how I see things going." So it doesn't you require to say, "I know exactly what's gonna happen," but it does help generate multiple frames of reference that allow people to understand the consequences of the context, meaning patients' health before things and then, how little events along the way determine the outcome. Alex: Maybe for our listeners, some have not actually read the article, scenario planning. That doesn't sound very medicine-y. And you mention that it may have come from ... Is it economics literature? Gretchen: Yeah. This is really funny, I think all of us spend a lot of time looking for better predictive models and nomograms. In surgery, we do this all the time, we love our risk calculator. I think the kind of information that we tell patients is all in this probabilistic language. Interestingly, in a lot of businesses they don't actually use that raw probabilistic language. For years, the economists were sort of held out as these people who were constantly misleading the managers. If you have a business, like Shell Oil is the business where they started this, and so the economists say, "There's a 50% chance that there'll be a coup in Iran and there's an 80% chance that we'll find oil in blah blah blah." And what they did is, they took all of this probabilistic information and generated possible stories of what might happen, based on this information. It's funny to me that this happens a lot in business. In fact, I was giving a lecture two weeks ago. I was giving the Memorial Art Lucas Lecture at Wash U, and Art's daughter Kate was sitting in the audience, and she said, "You know what? I work for the National Security Administration, you're doing the security planning. This is how we tell the government, how to use the data that we're giving them. We don't just say, 'There's a 50% chance that there's gonna be an attack in New York'. We get all the data together and then generate these scenarios, so that the people who are using this information can think strategically and plan ahead". So it's kind of funny to me that this is not an unfamiliar thing in other disciplines and it is surprising to me that we haven't used it in healthcare, because you would think that physicians are kind of like the economists here. We're the people with this information and the economists are talking to managers, but we're talking with patients, so we need to help them interpret this information in a way that's usable. Instead, we just plop a whole bunch of statistics on them. Eric: Are there certain fundamentals that you're supposed to do in scenario planning? Gretchen: That's a hard one, it has this sort of blessing and a curse feeling to it, where it seems really easy to be like, "In the best-case scenario...", but actually generating these scenarios can be really challenging. And if you look at what they do in business, the economists spend like five months with loads and loads and loads of data, trying to generate a story, and here you are in the ICU with a little bit of data trying to tell the right story. The way I think about it is, I mean I do think that having some sort of sign post with best, worst and most likely, is very helpful. And then I think about, what would it look like if everything went well? And if I know that I have somebody in front of me who's on a ventilator, who doesn't look like they're gonna get off the ventilator for a few days, I just start there. What does that story look like? Because I've seen a lot of people on a ventilator get better and I know what that's like, but they're not home the next day. So I use the stories from my experience to generate this best-case scenario, knowing that where the uncertainty is, is whether their respiratory failure is gonna get better. Does that make sense, it's really hard to explain. Alex: No, it's great. It's almost like explaining this scenario using as few numbers as possible, right? Gretchen: Yeah. We don't love using the numbers and a lot of people will be like, "Oh, I do that all the time, I just told some lady in the office that the best-case scenario is, she has a 75% chance of not getting off the operating table." That's not it. Alex: 75% of not getting off the operating table. I can't even straighten that out. Eric: I know you've talked to a lot of physicians about that and especially in academics, we don't even like qualitative data, we want quantitative data. How do people accept the idea of storytelling or interpreting data for patients? Gretchen: The bottom line is that someone has to interpret the data and it would be nice if the people who... I have lots of patients that I say, "You have a 50% chance of dying from this operation, and I'll be honest with you, I have a real sense of what that looks like." And I have a sense of what that looks like when they don't die and I have a sense of what that looks like when they do die. If I'm saying to the patient, "You have a 50% chance of dying in the operating room," and the patient, in turn, interprets that as, "I have a 50% chance of going home tomorrow after this operation," then we've really failed the patient to not interpret these statistics in a way that has meaning for them. Gretchen: No, I think that the idea behind the numbers is that they're data-driven and it keeps us all on the same page so we all tell the same thing. But that's not what this does. This is something that allows us to say, "I have these numbers and I know these numbers, but I want to help you use these numbers. So let me help you use these numbers by interpreting them for you." Now, conveniently, that's what the damn economists do, they're interpreting that data for the managers. I don't know why everybody's like, "Oh, this is so squishy, feely," I don't know any happy, squishy, feely economists, they are a hard bunch of people. Eric: And I could also imagine that the worst-case scenario is actually not the 50% chance of dying in the operating room, because you don't see a lot of people actually dying in the operating room, do you? Gretchen: Yeah, and actually, people like that outcome. Patients don't think that that's such a bad outcome, because you go to sleep and never wake up, but honestly, when I see that the surgery has a 50% mortality, I do not mean that people die in the operating room, I've been a surgeon for twenty years, I've seen four intra-operative deaths. I mean that you sit in the ICU for three weeks after you operation and we do all this stuff to you and you never wake up and finally, your family says, this is not okay and we withdraw life-sustaining treatments. That's what it means to have a 50% mortality, if they die. Honestly, what it means to survive it, is a lot of stuff. Eric: And that's what I really liked about your article, it's really talking about what the process looks like to get to the outcome that they're potentially hoping for, their goals, what's important to them. Gretchen: I also think it keeps us from having to be right about the outcome. That it's the experience along the way that allow patients in the future to understand where you might be. I think a lot of patients will say, "That best-case scenario is fine with me, I am willing to move forward and do this operation for that best-case scenario." But I think what strategy does, at least for surgical patients is, if things don't go as well as we hope for, they might recognize earlier on that, most likely, worst-case is where we're headed and say, "That was never okay with him. We talked about what that story looked like ahead of time and he was pretty clear that's not okay." It does do this forecasting thing that allows us to get a little more insight about the patients themselves, because they can talk with you about those stories and how they feel about those stories, but it also allows us to recognize later on, when things aren't heading the way we had wanted to. I worry, particularly with older patients ... You operate on them and they don't do well, but they don't do well right away. They just have a bump after a bump after a bump. It's like, "We just need to fix the pneumonia, we just need to fix the UTI, we just need to fix the bleeding stomach," and I think the families take a long time to understand that that is sliding very slowly and agonizingly towards an outcome the patient didn't want. Because they always assume that, and this isn't unreasonable because I think we help them assume this, that we can fix the pneumonia and they're gonna be right where they were before the pneumonia happened. Eric: How do you handle scenario planning, if you're using best-case/ worst-case, you can talk about if, we go ahead with surgery what's the best-case/ worst-case. Do you also present the best-case/ worst-case of an alternative, of what if we didn't do surgery? Gretchen: Yeah. For surgeons, every time we enter a room, we're like, surgery/ not surgery, surgery/ not surgery. That is our MO in the world. At least, when I talk to surgeons about it, we spend a lot of time thinking about surgery or another treatment strategy. And that other treatment strategy can be actually very broadly perceived from best medical management, or some operation that is not so complex, but potentially can palliate symptoms, it can be comfort-focused palliative care. I do like the idea that it shows two possible treatment strategies and then stories that go along with the two treatment strategies. I don't think it has to be done that way, but at least for surgeons, who are always thinking about a treatment decision, that's a helpful way to think it through. Alex: How does this idea of scenario planning mesh with your prior qualitative work, where you described this idea of this surgical compact between surgeons and patients, that, if you agree to the surgery, you're agreeing to this entire post-operative course, whatever you say be damned, kind of like an Ulysses' contract, 'tie me to the mast, I want to hear the sirens, ignore whatever I have to say'. Gretchen: I might not describe it quite that way, Alex. Alex: It's so much more poetic when you describe it that way. Eric: Wasn't it like a covenant? Gretchen: That's a very long and complicated discussion, and I do think that ... We've spent a ton of time listening to surgeons talk to patients before major high-stakes surgical decisions and I certainly understand how this conflict in the ICU happens after surgery, because the surgeon has actually spent a lot of time really going through all of these terrible things that could happen with surgery, and the patient says, "Yeah, I want to do it." And so the surgeon misunderstands that as, "Oh, the patient's committed to these other things that would happen after surgery, like intubation and all of these other possible risks that I disclosed, the patient's up for it." I actually don't think that's how the patient conceives of it, the patient thinks, "It's a risk, but driving in my car is a risk and it's not gonna happen." It's almost like a misunderstanding about what's possible after surgery and how tolerable that is for the patient and whether the patient is really willing to trade off some very burdensome treatment in order to reach a certain goal. Those conflicts show up in the ICU, because the surgeon thinks that the patient had a specific goal and that that goal is still possible, and by agreeing to all of these risks, the patient has said, "Yeah, that burdensome treatment is okay with me as well." You could imagine that, if I told you a story about what happened when everything went well, and that story included a week and a half in the ICU, which is not unusual for some people who come in really sick and the patient said, "That's not okay with me," that the surgeon might say, "Huh. I can't get yo to this outcome without that. So maybe we need to rethink whether surgery is right for you." Eric: And the sorts of surgery where scenario planning is most applicable are vascular surgery, because older patients are often multi-morbidity, frailty, dementia, disability, at-risk, also trauma surgery, any other areas? Gretchen: Yeah, there is nothing that says it can't be done in other areas. As a researcher, I like the idea of checking it out, before we say, "Go do it." We taught 25 surgeons here at AW to use scenario planning and our best-case/ worst-case communication tool, and they were cardiac surgeons, vascular surgeons, thoracic surgeons, acute care general surgery surgeons and then we had them do it with patients in our study. We had twenty patients enrolled in our study and they had all of those illnesses that you just described. We had patients facing TAVR, we had CABG aneurysms, a lot of frail, older people with acute abdominal processes, like colonic obstruction, that kind of thing. We actually went to the patients' families after their decision, we went to their house to talk to them about how they liked best-case/ worst-case, and literally, people would just go and pull the graphic aid that it comes with, out of their drawer and say, "You know what, I was in the hospital, the surgeon used this and it really helped us." Gretchen: Even Father Andrew, who is in this New England Journal article ... Andrew is not actually his actual name, we changed it, but he was a priest and his niece was very kind to interview with us three months after he died and she said that she took the graphic aid on a trip around the country to see family. She said she used the graphic aid to explain to them, why they made the decisions that they did about how to take care of him when he was so sick. Eric: When we're thinking about scenario planning, best-case/ worst-case, I know you have a great video online, too, that we can see our best-case/ worst-case scenario and we can link to that, is that right? Is that online? Gretchen: Yeah! If you just google best-case/ worst-case whiteboard video, it comes right up. Eric: Great. Would you suggest that we use graphic aids in addition to verbal storytelling? Gretchen: I teach it with a graphic aid and, invariably, I find myself in a room without a graphic aid using my hands, lifting up high, like, "This is what the best case is." Worst case is like down by my knees. It's easier with a graphic aid, but I actually think patients really love having something to hold onto. And we taught it so that you jot down a few little notes next to best and worst and most likely, so that they can use it to remember things later. I think patients and families really love having this thing to hold onto, because it allows them to use the stories to communicate with other people, but also to communicate amongst themselves. It provides a really nice strategy to give them good recall about what happened. I like the graphic aid a ton, I recognize how it can be a little tedious, but I think that the patients and families really get a lot out of it. Eric: When I first heard about your best-case/ worst-case scenario, I started using it on palliative care consults. I actually think it's a very helpful framework. I never knew the term 'scenario planning' and that's what I was practicing. It's something that I want to continue to work on and actually do more, because I think that the storytelling part actually really resonates with patients, and also residents. When I talk to residents about thinking about a case, what's the best case, what's the worst case, it helps them figure out, "Oh yeah, this is why we would do this, or this is why we wouldn't do this." Alex: And they do have information to share with patients, they realize. The residents. Often they say, "I'm in a data-free zone, I don't know, there's too much uncertainty here." Gretchen: Right. It helps us put boundaries around the limits of what's possible. I think people who are trained in palliative care can do this very naturally without much training at all, though it does require some sort of thinking about what it means to create a good story. My colleague Toby Campbell here, he was just doing this in his office for patients with lung cancer, talking to them about chemotherapy. Then the two of us got together and were like, "Wow, we should try to find a way to structure this, that we can teach it to other people." It'd be really nice to take a syringe full of Eric Widera and Alex Smith and Toby Campbell and just inject it into everybody, but you can't. Eric: That wouldn't be nice. Terrible idea. Gretchen: This is a strategy that I think people can learn and I would say that some of the surgeons in my city, they weren't fabulous communicators, but they did a really good job with this. They really did things that I'm like ... I audio-recorded them and I want to just lift it up and show my mom, like, "Look what we did! Look at this boy, he's really getting it." That's exciting to me, that we can develop the framework that other people could use, who aren't just naturally talented at doing this. Eric: Maybe for me and our listeners, are there a couple of key parts of storytelling that we should keep in mind when we're doing a best-case/ worst-case scenario or ... Now I'm blanking out ... Scenario planning. Gretchen: Yeah. Best and worst case you can start off with this idea of, what would it look like if everything went well. And worst case is sort of, what would it look like if everything went poorly. I actually think, most likely is probably the piece, where you really have to use sort of all of your clinical expertise to try and get that story right, which doesn't mean anybody is gonna hold you to the story, but that's probably the one that really requires some real tailoring to the patient in front of you. I always think about, "Where are we now? What does the treatment look like, what does this thing we're proposing look like?" And then think through, "What does it look like in the short term? Where are they? What's their quality of life? What other therapies that could be burdensome are gonna come up?" And then follow it up at the end of this story with some sort of long-term statement about it, like, "Given who you are and given that you were just barely making it at home and you had bad COPB and you have this metastatic cancer, I really have a hard time seeing you get back to home. I think what's most likely, is that you'll be in a nursing home and what's most like is that the cancer is gonna catch up with you and we've got months." You guys in palliative care are so good at giving estimates about survival that aren't so down and precise that people are like, "You're wrong." But I like this sort of 'days-months, months-years, years-years' kind of thing that you can use with most likely. Sort of really try to embed some prognostic information into the story. Eric: And I really like how it forces us to remember, it's not just the outcome, best case he lives, worst case he dies. It's everything that goes along with that, the process. Gretchen: Right. Although, that's how my husband conceives the best-case/ worst-case. He's a transplant surgeon, he's like, "Best case you live, worst case you die." "Oh, awesome!" Alex: It's easy, I learned it. I'm a master at this technique! Alex: Zero or one, right. Eric: We don't need stories! That's data, right there. Alright, Alex, how about you finish us off. Gretchen, thanks for joining us today. Alex: Thank you so much, Gretchen, that was terrific. Gretchen: Thanks, guys. What a blast! Alex: We pick up where we left of. There is a terrific article in this weeks Journal of Pain and Symptom Management by Fliss Murtagh of King's College in London about the epidemiology of symptoms for patients with advanced renal failure who die without dialysis. This study is important because while we know that patients with advanced renal failure have a limited life expectancy and the average age of initiation of hemodialysis is increasing, we know little about the alternatives to hemodialysis. Specifically, we know nothing about symptoms affecting quality of life among patients who elect not to start dialysis (so called "conservative management" - is this the best label?). This article provides a terrific counterpoint to the article in last years NEJM showing that nursing home residents who initiated hemodialysis tended to die and decline in function (see GeriPal write up here). News Headlines read: Sen. Edward Kennedy loses battle with cancer. Really, he lost? I thought he died from a malignant brain tumor, an “aggressive” brain tumor. The median survival is less than a year for people for his particular tumor. Kennedy was diagnosed in May of 2008. He lived over 15 months after diagnosis. What a loser. He must not have fought hard enough. Huh? I thought he spent most of his life battling for social and health care reform in America. In this week's GeriPal podcast we take a deeper dive into this issue of language and medicine. We are joined by guests Anna DeForest, MD, MFA, a resident in Neurology at Yale, and Brian Block, MD, a pulmonary critical care fellow at UCSF. The dangers of oral sodium phosphate preparations are fairly well known in the medical community. In 2006 the FDA issued it’s first warning that patients taking oral sodium phosphate preparations are at risk for potential for acute kidney injury. Two years later, over-the-counter preparations of these drugs were voluntarily withdrawn by the manufacturers. Those agents still available by prescription were given black box warnings mainly due to acute phosphate nephropathy that can result in renal failure, especially in older adults. Despite all this talk of oral preparations, little was mentioned about a sodium phosphate preparation that is still available over-the-counter – the Fleet enema. GeriPal (Geriatrics and Palliative care) is a forum for discourse, recent news and research, and freethinking commentary. Our objectives are: 1) to create an online community of interdisciplinary providers interested in geriatrics or palliative care; 2) to provide an open forum for the exchange of ideas and disruptive commentary that changes clinical practice and health care policy; and 3) to change the world. No confidential patient information should be placed on GeriPal, nor should any confidential information be placed in the comments. The information provided on GeriPal is designed to complement, not replace, the relationship between a patient and and his/her own medical providers. The editors (Alex Smith and Eric Widera) reserve the right to remove comments that are deemed inappropriate due to the commercial, abusive, or offensive nature of a comment. If you think your comment was deleted for inappropriate reasons, please email either Alex or Eric.